Víkingr(?) had the stone raised in memory of ... ... son ... May God help his soul. 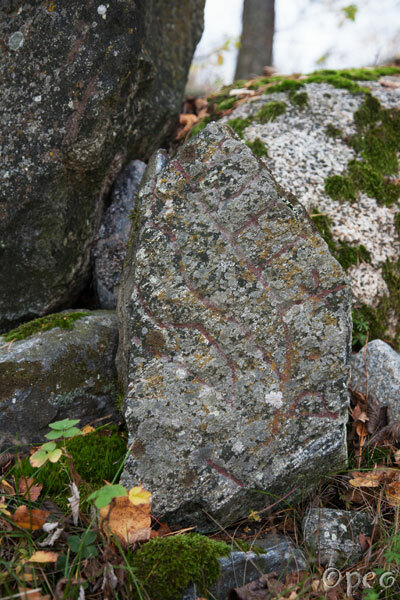 Two fragments of this rune stone is lying on the ground in a small forest behind a house. 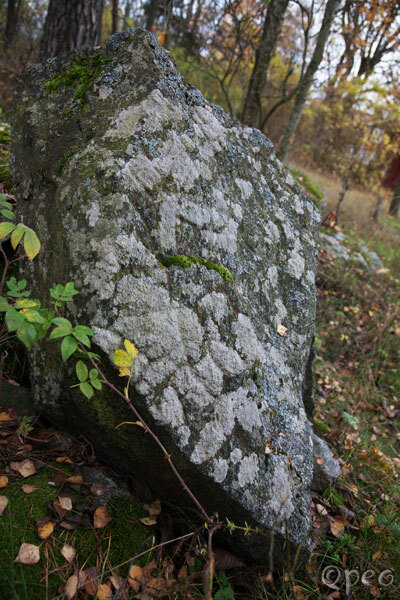 Today it's impossible to read the full text, but the rune stone was depicted in the book "Monumenta" by Peringskiöld in the 17th century. Here's the other fragment of the stone. If you want to see what it once looked like, you can go to this link.